Two great bags for one low price! Get our Gem Krazy bag loaded with gems from around the world and pair it with our Montana Sapphire Treasure bag to ensure your collection includes Montana Sapphires. Great family entertainment, good for rock-hounds, gem collectors, faceters and treasure-hunters. Our Gem Krazy bag is 2 gallons of unsearched Montana sapphire gravel enriched with a variety of gems including garnets, amethyst, citrine, clear and smokey quartz and a variety too long to list. 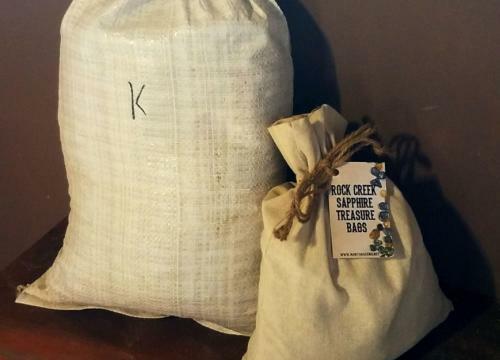 Our Montana Treasure bag is approximately 8lbs of natural sapphire gravel that has been enhanced with heat-treated Rock Creek sapphire gravel.